A city of only about 400,000, Tulsa is not far behind New York and Miami in having the highest concentration of Art Deco buildings, which were erected in a time of rapid gains associated with oil production. 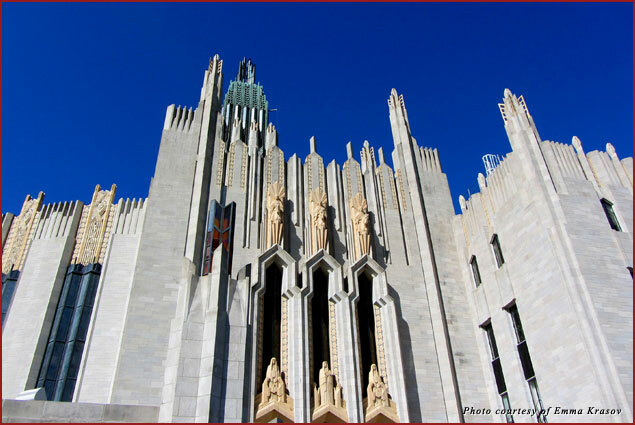 Boston Avenue United Methodist Church is a National Historic Landmark, designed by a female architect, Dr. Adah Robinson, and built in downtown Tulsa in 1929. The 15-story building is a poem in stone, filled with light streaming through its stained-glass windows. The sanctuary mosaic, installed in the early 1960s, consists of 750,000 glass tiles. The Great Hall mosaics from the 1990s, depicting scriptures in Hebrew and in Greek in Art Deco style, are made of pink and gold Venetian tiles. The Philbrook Museum of Art, located in the 1926 Renaissance-style villa of oil baron Waite Phillips, is filled with exhibits ranging from Greek and Roman antiquities to Native American and Asian artifacts, and European Baroque and Impressionism masterpieces. 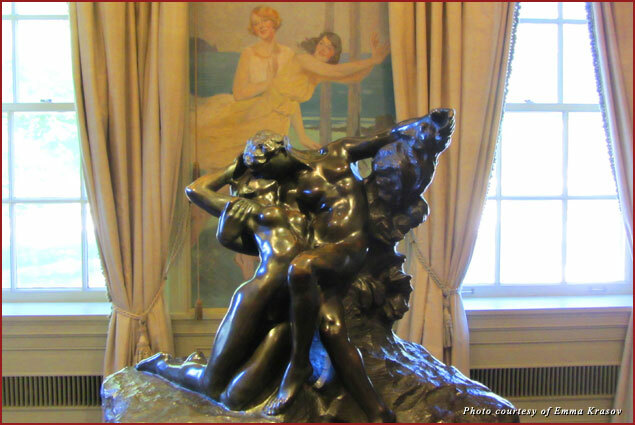 It is hard to distinguish between the art collection and the historic house’s exquisite décor. 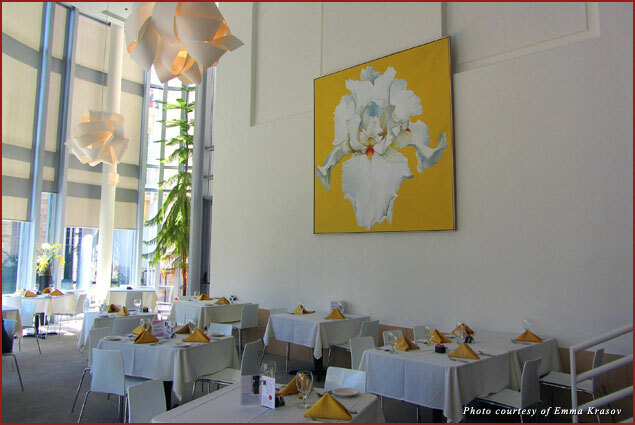 The La Villa restaurant on the premises overlooks the landscaped gardens and serves gourmet lunches. 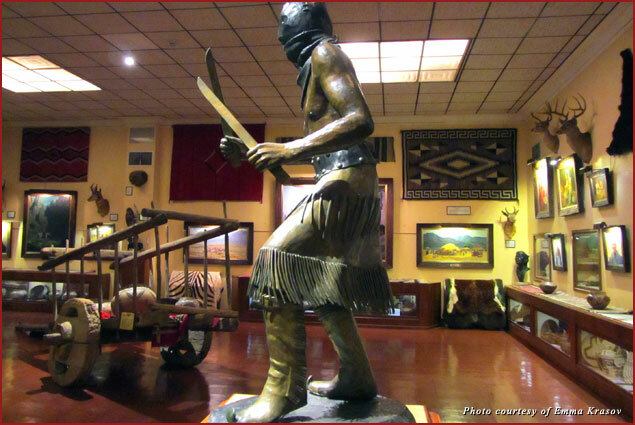 The Gilcrease Museum is best known for its extensive collections of Native American art and the art of the American West, housed in a beautiful building surrounded by themed gardens. The former mansion of oil baron Thomas Gilcrease, it contains more than 10,000 paintings in the museum’s permanent collection. Albert Bierstadt, Frederic Remington, Charles M. Russell, and George Catlin are among the famous American artists whose art is presented at Gilcrease. 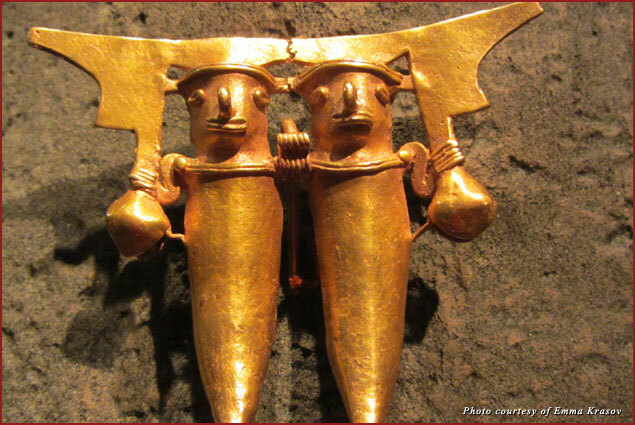 During my visit, a traveling exhibition entitled To Capture the Sun: Gold of Ancient Panama was on display. The Linnaeus Teaching Gardens in Woodward Park, with a beautifully preserved 1919 garden house (formerly a family home and a synagogue), serves as a public park and an educational institution. Numerous vegetables, annuals, perennials, woody plants, and groundcovers are grown here with the use of the latest and most successful techniques. There is also a Victorian conservatory of flowers, an arboretum, and an ongoing exhibition of garden designs and outdoor architectural structures. 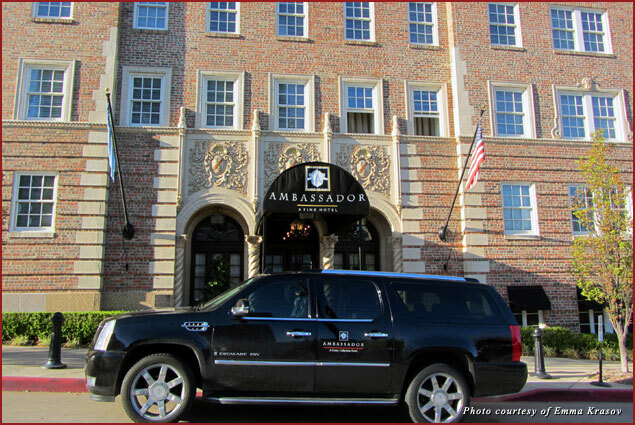 The Hotel Ambassador is a luxury boutique hotel that offers a welcome retreat in a historic 1929 building. It was originally one of the first “extended stay” properties. It’s a 10-story Italianate structure with terra cotta relief panels and limestone cornices. Spacious rooms, plush accommodations, and heart-warming details, like flowers and art pieces, the open-to-the-public Hurley Library, and coffee service in the lobby create a memorably comfortable place to spend a night in Tulsa. Black Alley Blues and BBQ is a funky little place in the Blue Dome entertainment district. 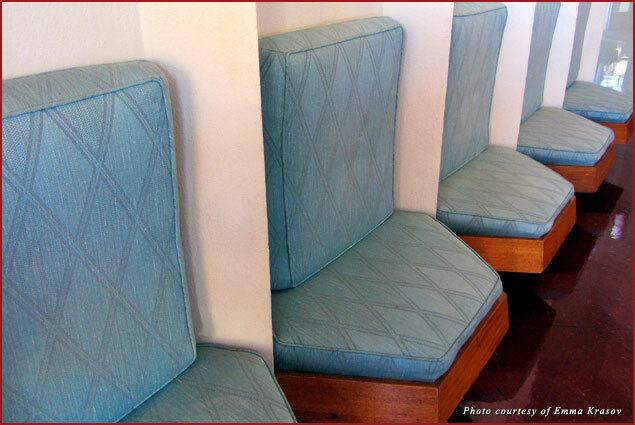 It serves meaty classics accompanied by live music from local performers. Among the pork sandwiches and cheese-baked potato skins on the menu is a “slice of salad” – a leaf of iceberg lettuce filled with bacon, barbecue sauce, and ranch dressing. The Blue Dome Diner, which serves hearty breakfasts, including eggs with biscuits and gravy, is located near the real Blue Dome – a 1920s fancy gas station on Route 66. 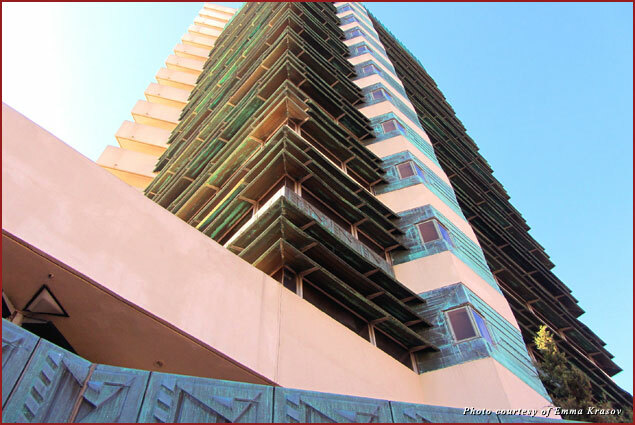 The most important attraction in Bartlesville is Price Tower – Frank Lloyd Wright’s singular skyscraper – a National Historic Landmark. Originally designed for New York City in 1929, right before the market crash, it was commissioned by oil baron Harold Price for his Price Pipeline company headquarters, and completed in 1956. Now, the 221-foot tower, which Wright poetically called his “tree that escaped the crowded forest,” is home to the Art Center, Inn at Price Tower, and the Copper Bar. The Woolaroc Museum and Wildlife Preserve maintains its historic ambience with the original ranch established in 1925 by oil baron Frank Phillips, founder of Phillips Petroleum Company. Woolaroc sits on 3,600 acres of prairie land, roamed by herds of bison, longhorn, and elk, with a grandiose museum dedicated to the American West and the history of Oklahoma at its center. Enormous collections of paintings, sculpture, dolls, and Colt guns are on display as well as the walls of the country home covered with taxidermies of hundreds of hunted animals, including an African elephant. The Tallgrass Prairie Preserve is located in Pawhuska between Bartlesville and Ponca City in Osage County, Oklahoma. This 39,000-acre preserve is the largest protected area of tallgrass prairie on Earth. 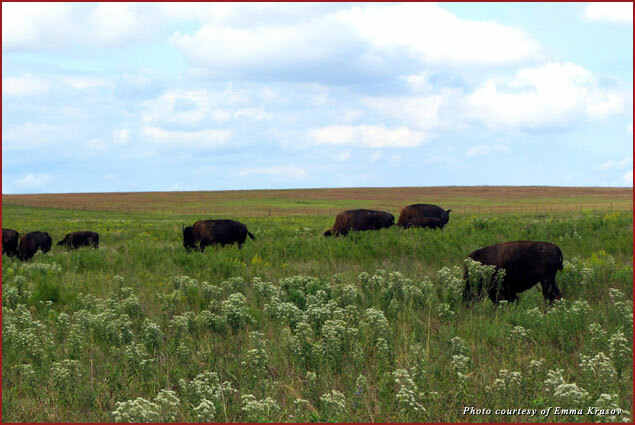 Now managed by the Nature Conservancy, the Tallgrass Prairie Preserve is home to golden rod, broom weed, and yellow cone flowers, and to bobcat, badger, fox, deer, coyote, and bison. 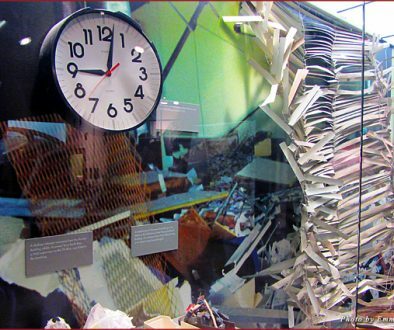 The Standing Bear Park, Museum, and Education Center is located in Ponca City, Oklahoma, and includes a resource center, an art gallery with Native American exhibits, an education center, an exhibit hall, an observation area, and a rotunda. 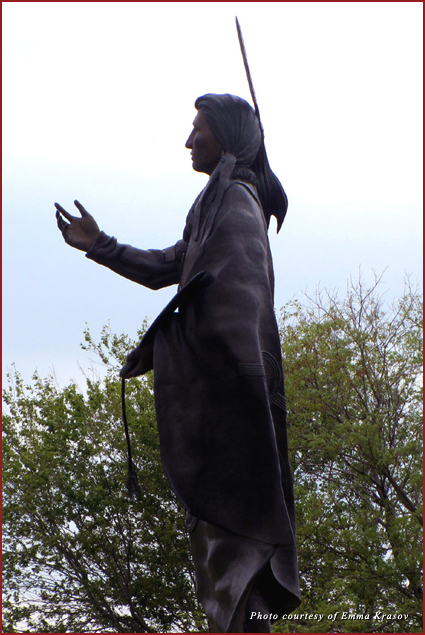 At the center of the park stands a 22-foot bronze sculpture of Ponca Chief Standing Bear, surrounded by monuments honoring the six Native American tribes from around Ponca City: the Kaw, Osage, Otoe-Missouria, Pawnee, Ponca, and Tonkawa. On the last Friday and Saturday in September, the park hosts the annual Standing Bear Powwow. Two miles of walking trails cross the park in all directions.